Should Luxury Brands Use Social Media? It's a debate that is almost as old as social media itself. Should luxury brands be social, or does that undermine their exclusivity? When Twitter and Facebook first launched, most brands decided to stay away, preferring to maintain their niche and elite status. That has all changed, though. Burberry, for example, now dedicates 60% of it's advertising budget to digital. It's had a huge amount of success on sites such as Facebook and Instagram, including that memorable Art of the Trench campaign. One of the most quoted cases of a luxury brand shying away from social is high-end culture/design publisher Monacle. Andrew Tuck, the editor, said that the magazine publishes 40,000 words each month, and the opinions of its editors can be found all over the radio. They are refusing to share their articles over social media, though, and are actively boycotting Twitter and Instagram. Rolex are a little more open. They've had a Facebook page for a year, but post only a few times a month, and the content is usually very similar to its print adverts. They also have Twitter and Instagram accounts, but these are locked down, and anyone requesting access is vetted first. Apple are another famous channel who haven't yet embraced social, although they are starting to make the right moves - they created a colourful Tumblr to promote the cheaper iPhone 5C this year, and they've been hiring hot social talent from the likes of Nike. They are keeping tight-lipped on whether they'll be embracing any social channels in the near future, though. What about the luxury brands that are embracing social? Luxury mobile phone manufacturer Vertu is one company that's trying. There is an official Facebook, Twitter, Pinterest, Instagram and YouTube, although the strategy has altered dramatically over recent months, from posting once a day to up to five times a day, multiple times per week and back to once a day. The company currently has 143,888 fans on Facebook, although engagement can be hit and miss, and a large amount of the audience appears to be people who can't afford the $15,000 phones - although they certainly aspire too. So should luxury brands be on social? Data from Brandwatch seems to suggest yes. That's not all, either. Being on social media gives you a great insight into your customers, including where they live, what their interests are and why they like your brand. Burberry used its social media to inform its Christmas retail last year, and grew revenue by 14% to £528m. Finally, if you aren't on social media, you're left in a much weaker position if a brand crisis occurs. Reputation is vital in the luxury market, and the only way to have any control over this is to be active and responsive online. You can even use social media to identify brand influencers, and use them to amplify your message and increase sales. As always with social media, it's all about the strategy. Subscribe to the newsletter to make sure you get the next instalment of how luxury brands should be using social. When the Samaritans' unveiled their "Radar" app this week, they thought they were launching a new age of suicide prevention. Samaritans Radar automatically scans the tweets of anyone the user follows, and sends an alert when it finds any potentially suicidal tweets. The alerts are generated based on "trigger phrases" which the charity has not revealed. 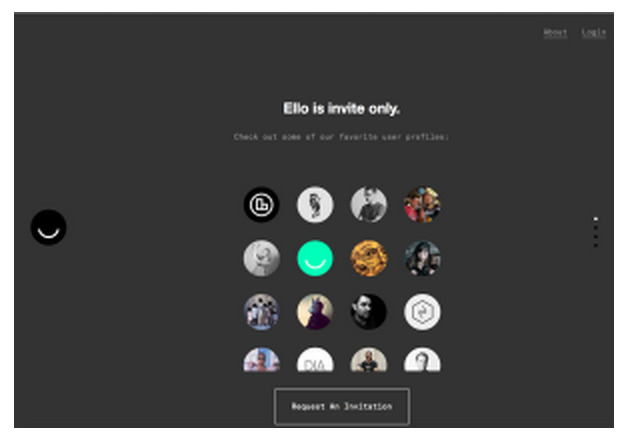 Twitter users were quick to point out the privacy issues with such an app. One of the most popular complaints is that the app would make stalking or harassing someone much easier. A stalker wouldn't even need to monitor the tweets of their victim - they'd receive a helpful email alert when their victim was feeling their most vulnerable. Others claimed that it would force people with mental health issues away from Twitter, isolating them from a potential support network. At the end of the first day, the Samaritans announced that the app now had over 1,500 subscribers, and was monitoring 900,000 Twitter feeds. The next day, the app generated 258 alerts - but only 10 of those were deemed to be genuine. The high fail rate is a big drawback, even without the privacy concerns. On Thursday, the Samaritans responded to privacy concerns by announcing that it would allow individual users to be added to a whitelist. This list was originally created for companies who regularly tweet using words or phrases that the app would pick up on. In order to opt out, a user must follow @Samaritans on Twitter, and send a direct message asking for removal. All requests will be actioned within 72 hours. While there is some disagreement on whether current guidelines are breached, if the new Data Protection Regulations are passed in their current form, the app will certainly be in breach for failing to gain "explicit consent". What do you think of the app? Would you mind being monitored on Twitter? 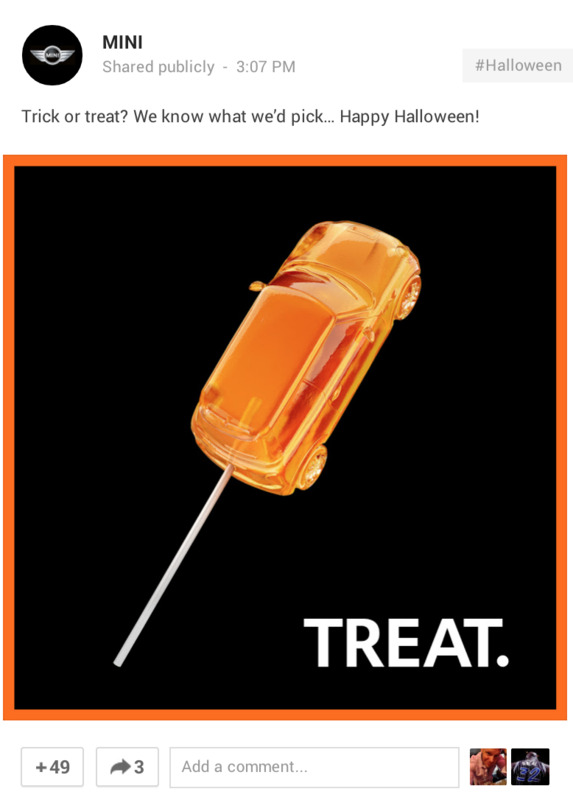 Halloween 2014: Which brands did well? Halloween is a big event on social media. It's no longer just an occasion for retailers, who set to rake in £330m in the UK this year, but a chance for brands across multiple industries to create content that will be seen - and hopefully shared - by millions. Samsung even managed to share the same video multiple times throughout the day, with a different message each time, to keep it fresh but ensure that it reached the maximum amount of people. Vine was certainly popular this year for Halloween this year, with numerous brands opting to make funny looping videos. Oreo show another example of why they constantly dominate social media with this brilliantly made Halloween monster. Lowes have built a reputation for helpful, actionable and quick social media videos, and they've stuck to their winning formula for this Halloween-themed video. It's no wonder their fans were delighted. Think of ways to enjoy the holiday without varying too far from what your fans expect, and your seasonal content will always perform well. Cars and Halloween don't have too much in common, but Mini have got in on the game with a series of images that show off Mini accessories. With that familiar orange border and monochrome colour scheme, there's some definite subliminal messaging going on! After their #Bendgate tweets, KitKat established themselves as the new Oreo - and their Halloween pranks today have backed that up. Definitely worth a look, if you don't follow them already. Walmart hit hot water early this week, after an eagle-eyed shopper spotted that they were selling "Fat Girl Costumes". WIthin hours of the discovery, #Fatgirlcostumes was trending on Twitter, and thousands of users were demanding an explanation. The story was picked up and published by thousands of news sites, including Jezebel, Time, People and CNN, before Walmart decided to issue an apology. "This should never have been on our site. It is unacceptable, and we apologise." announced a spokesperson for the company. They also promised to ensure that this never happens again. Did you spot any interesting Halloween content this year? Facebook attracts 1.23 billion monthly active users. Twitter achieves 232 million. That doesn't mean you should redirect your budget to Facebook, though. The demographics of each site are very different. After all, it doesn't matter how many people are there if they aren't your target audience! Females are just ahead of males on both networks, although there is a fairly even mix on Facebook. It's interesting to note that Twitter is more popular than Facebook - it could be that the sheer amount of content on Twitter makes it more enchanting, similarly to Pinterest. It's also interesting to note that Twitter has a much younger demographic than Facebook. While Twitter is the social network of choice for people aged between 18 - 29, with 75% of usage made up of people between 18 - 49, Facebook has a much older demographic. Almost 75% of Facebook usage is made up of people older than 29. Coca-Cola own the second most visited page on Facebook. Facebook own the first, with "Facebook for every phone." For Twitter, YouTube has the most popular account. It currently has over 45,992,097 followers. YouTube's success is less surprising when you remember that video is the most popular content medium on Twitter - and YouTube certainly has a lot of it to share! Ask a question on Facebook, and you'll increase comments by 100%. Ask the same question on Twitter, and you'll see a 22% rise in responses. As you'd expect, images also have a big impact on engagement. Post a photo on Facebook, and you'll get 53% more likes and 104% more comments. On Twitter, you'll see a 39% increase in clicks and a 41% increase in retweets. Make good use of images! Keep it short, regardless of where you are posting - Twitter will limit you to 140 characters anyway, but Facebook status' with less than 250 characters get 60% more engagement. Remember, as useful as stats like these are, it could be different for your audience. Trial them, and check your stats! Need a help with your social media strategy? I'd be happy to help manage your profiles, or run an audit on your current activities. Send me an email at katy@katyblake.co.uk! Ready to take your Twitter marketing to the next level? Try implementing one of these advanced Twitter strategies to really see results – they’re designed to be quick and easy, so you’ve got no excuse not to try one of them today! Okay, so using multimedia and links in Tweets isn’t new, but it’s definitely necessary. First, don’t always put your link at the end of your tweet. While that is the most common format, it’s also the least effective. A study by Hubspot data scientist Dan Zarrella found that links near to the start of the tweet had a much higher click-through rate than those placed at the end. Mix up your format, and see where your links perform their best. I’ve found 25-30% of the way into the tweet is my sweet spot! Don’t just change your link strategy, though. Try adding new forms of multimedia. If your audience is used to no multimedia, add images. If you always use images, try embedding a video or GIF. You get the idea! Many new Twitter users don’t bother with the Twitter list function, but it’s one of the greatest features. Spend some time compiling lists of people. One list, for example, should be thought-leaders and influencers in your industry. Another list could be competitors. Once you’ve got your lists set up, you can quickly jump into them to see what your rivals are doing, or to find great content to talk about and share. Twitter’s advanced search is brilliant. Not only can it find a huge amount of tweets on a specific keyword, but your can also geotarget. Yep, that’s right: you can find people within a set radius of you that need a bed for the night, for example. Advanced search is a little hidden away – type a word into the search bar in Twitter, and on the results page, you’ll find a link to the advanced search. Have a play around with the different settings – you can guarantee you’ll be ahead of the competition if you embrace this now. Okay, maybe not anyone. There can be some strange people on the internet! Don’t be worried about talking to the competition, though. A great example of this is @SouthWestAir and @JetBlue. They might be rivals, but they follow each other (why wouldn’t they? They have a lot of the same interests…) and have jokey conversations all the time. Look out for some competition now, and see if there are any conversations you can start or join in with. You’ll put yourself at the front of your audiences’ mind, and you’ll get extra exposure among their audience, too. If you’ve already looked at Twitter’s advanced search, I bet you didn’t spot the “other” field. Way down the bottom, Twitter offers four tickboxes, labelled “positive”,”negative”,”question?” and “include retweets”. You can do quite a few things with this information. You can get an idea of social sentiment around a current issue, and you can look for praise or criticism directed at you or your competitors. The best thing, though? You can use the “question?” box to find people who need something that you have. Search for keywords relating to your business. Someone could be looking for a hotel recommendation near you, or asking about something that you sell. It’s a lead, just waiting for you to find it. Go and try one of these right now, and send your Twitter marketing to the next level. When you log in to Facebook, there are 1,500 stories that you could be shown. If you’ve got a lot of friends and family, or you’ve liked a lot of pages, that could increase to 15,000. Of course, Facebook doesn’t make all of those posts available to you. They know that you won’t be interested in some of it, and you’ll likely leave the website long before you’ve consumed even 25%. That’s why they’ve created a more intelligent newsfeed, with the aim of only showing you posts that you are likely to be interested in. With this newsfeed, you are likely to see a maximum of 300 stories when you log in, and they’ll have been pre-selected to ensure that they are the posts that you want to see. While this sounds like good news to Facebook users, it’s caused some drama for brands and businesses on Facebook. The average post on Facebook is now seen by 4.5% of your fanbase – which isn’t very much. Last October, that same post would have been seen by 55% of your audience. How does Facebook decide what to show? A users internet speed and device. If your content is a long HD video, it probably won’t be shown to people on a slow internet connection. A users favourite post types. Engage with images more than text? Expect to see more photo posts. Love videos? Your newsfeed will adapt to that, too. Which posts a user doesn’t like. If a similar post has been hidden as spam, your post is unlikely to show. Engagement with Facebook Ads. If a user has engaged with one of your adverts, or a similar advert, your post is more likely to show. Affinity. How much does a user engage with your page. The more engagement you get, the better your relationship is ranked, and the more content your user will see. Weighting. Facebook weights different post types. At the moment, photos are thought to be preferred to text posts, for example. This changes fairly regularly. Decay. How old is your post? Older posts are seen to be less relevant, so are unlikely to show. The exception is posts which get a large amount of ongoing engagement – such as a comment debate. When Facebook first announced these changes, there was a big debate over whether companies who didn’t have Facebook promotion in their budgets should leave the platform. However, lower reach isn’t necessarily a bad thing. Reach has no direct correlation with important, trackable statistics such as leads, visits or purchases. Don’t leave Facebook purely because your organic reach has decreased. Instead, work out whether it has had any affect on your actual aims and objectives, and make a decision from there. How can we improve organic reach? There are a few key ways that organic reach can be boosted. Try these techniques, and see how they affect how many people see, and engage with, your posts. Be open. Sharing a “behind-the-scenes” view of your company is interesting to customers, and has become a winning tactic for Fortune 500 companies. Be positive. Have a cheerful tone of voice, and share good news. Bring some sunshine into your customers day. Work out your own peak time. Don’t choose times because everyone else seems to post then – that means your post has more competition. Posting “off-peak” can give your post a better chance of being seen. Use original content wherever you can. Don’t leave home without a camera, and cover everything! Ask questions. Don’t use this tactic to sneakily share links, though – it’s aim is to engage your audience and increase interaction, not to promote your brand. Talk to your customers as people, and your reach could shoot up. Post images that are self-explanatory. They should catch the eye, and encourage people to hit that ‘Like’ button. It’s worth investing in excellent imagery to help you stand out! Jump on current trends, and see how your audience response. Flashback Friday, for example, is pretty easy for most companies but can have excellent results. Remember that on Facebook, your competition isn’t just your industry rivals. It’s your customers’ friends, family and colleagues. To stand out, you’ll have to do more than just sell. Have you found any great ways to increase organic reach? Let me know in the comments!